Global Dialogue 2013 has already begun. Global Roundtables have begun, and you can participate now, today. 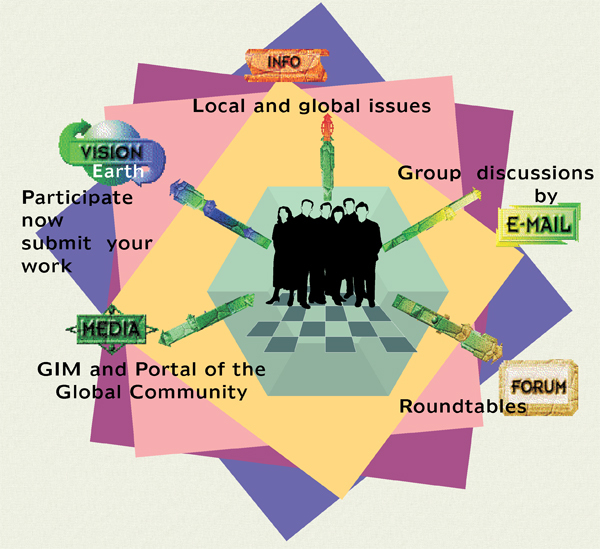 To see the work done click on a Global Roundtable in the Listing of the Global Roundtables. Workshop Sessions have also already begun. Start your own Workshop Session. Follow the process on the front page. Be a Leader. The period August 17-22 is a time for the Workshop Sessions for summarizing results, and August 31 is the closing of Global Dialogue 2013. If we continue to have sponsoring, Proceedings 2013 will be written and published in September/October 2013 and will be made available on the website of the Global Community afterwards. 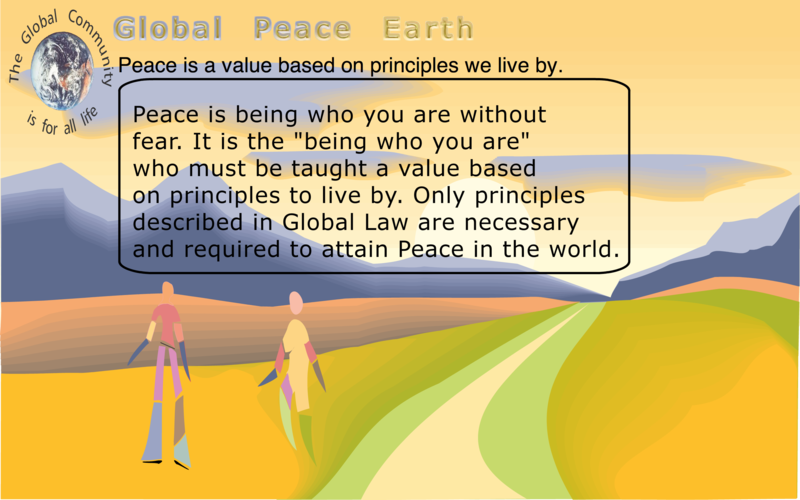 Read the Proceedings of the Global Dialogue since it started in 1985. Any change in the scheduling of Global Dialogue 2013 will be shown on the website. Scheduling at the physical site and the proposed framework for sessions at the physical site, i.e. 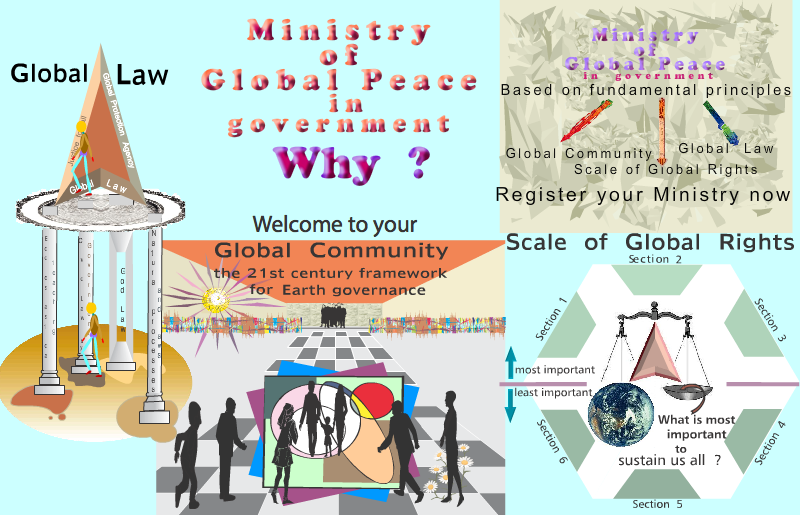 day(s) of the Global Dialogue at the physical site, and number of days reserved at the physical site, may change, and we may not know for certain about these parameters until July 2013. Each Global Dialogue 2013 issue is connected to a Workshop Session or to a Global Roundtable. To connect with each Global Roundtable click on a Global Roundtable in the Listing of Global Roundtables 2013. All Leaders are required to send an Opening Statement related to their Global Roundtable or Workshop Session. A Closing Statement should also be sent during the period August 17-22, 2013. These statements along with the comments and recommendations will be inserted in the space reserved to each Global Roundtable and Workshop Session on our website. This table displays all Global Dialogue 2013 Roundtables. Corresponding Global Dialogue 2013 issues are shown in parenthesis. Send an email specifying the roundtable you wish to be part of. A link with your name and info will be created in the Global Roundtable. Then follow the link and see your work added along with the work of others. 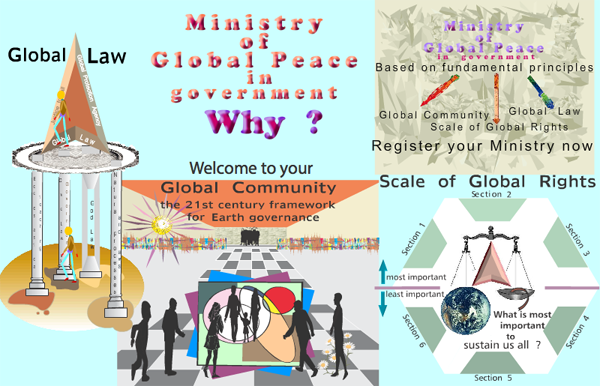 At the end of Global Dialogue 2013, the Global Overview will mention your work and recommendations will be writen. Concluding remarks drawn from the roundtables will be made available here at the end of Global Dialogue 2013.